Our measuring equipment is required to guarantee dimensional accuracy. 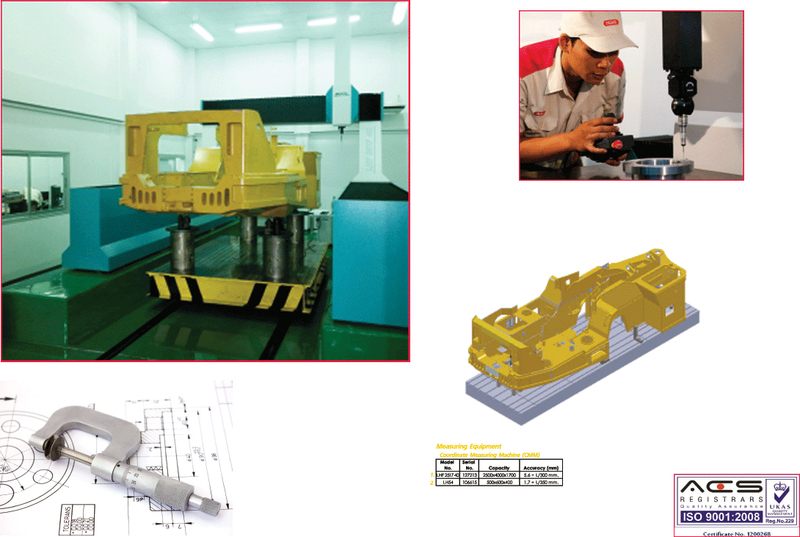 Besides a large number of handled measuring tools, We have installed a coordinate measuring machine, We can measure and analyze tooling and machined parts quickly. For our practive of high standards of each part undergoes first-off approval by in-process and regular inspcetion to monitor before deliver to out customer. Any special specification can be provided on request. We can also provide material certification and compreh ensive inspection reports as required. size 0-2,000 mm. resolution 0.02-0.05 mm. size 18-250 mm. resolution 0.01 mm. size 0-1,500 mm. resolution 0.01 mm. size 250-6,000 mm. resolution 0.01 mm. size 0-600 mm. resolution 0.0001 mm.